It has been a long time coming, but Sea-Wing Designs has published the children’s book by Author Granny Gaddy, “Piccolo Pete — A Musical Tale”. This book is available for sale at GrannyGaddy.com (also designed by Sea-Wing Designs). 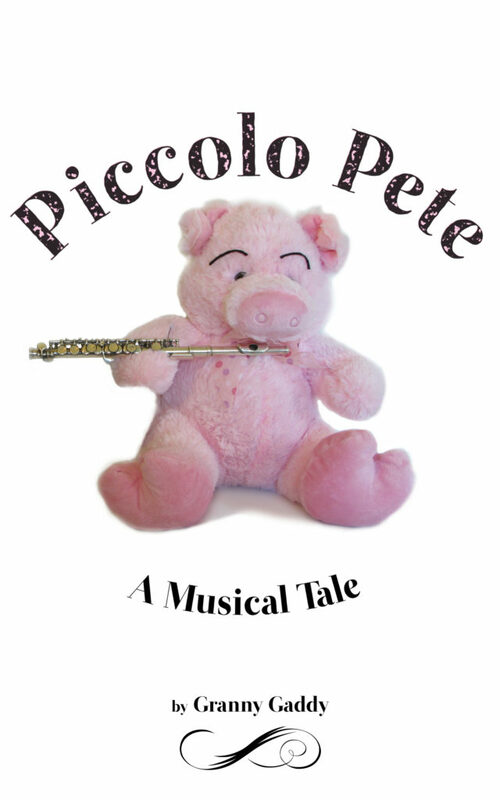 Piccolo Pete is a delightful story about a small little pig who wants to play in the marching band, but all of the instruments are too big for him. Then he discovers with delight, the piccolo! The book was written by Granny Gaddy. The layout and design was done by Jason Earrame. The photography team included Jerry Gaddy, Coral Earrame and Jason Earrame. The editing wad done by Mary Earrame. 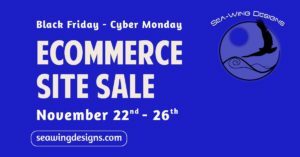 Black Friday – Cyber Monday Sale!! You didn’t think we did sales, did you? This is a first for us. It’s not easy coming up with sale packages for high quality websites or e-commerce shop designs. But this year we decided to try it—to help you get that beautiful website out of your imagination and onto the world wide web. Our Black Friday/Cyber Monday sale runs from midnight PST on Thursday, November 22nd until midnight PST on Monday, November 26th. Our sale packages offer a choice of premium, professional themes with high quality responsive features that are sure to impress site visitors. Our sites are mobile-friendly and our e-commerce shops are elegant and easy to use. Included in both of our sale packages are twelve months of FREE web hosting including security certificates, software updates and security scans. Our Premium E-Commerce Starter Package also offers unlimited bandwidth, daily site backups, spam removal, and monthly site reports. Home built sites never quite work out the way you want, can cause frustration and end up gathering dust. Whether it’s for business or blogging, our customized websites work for you. The initial investment allows for a usable website that doesn’t break due to lack of upgrades, broken themes, security problems or viruses. Our maintenance packages take care of any site problems for you so you don’t need to worry about them. AND SEO report for your current site. Fill out the form below to order your Premium Mobile-Friendly Website Starter Package or Premium E-Commerce Starter Package. Every once in a while I get to work on a site that is truly enjoyable to look at. 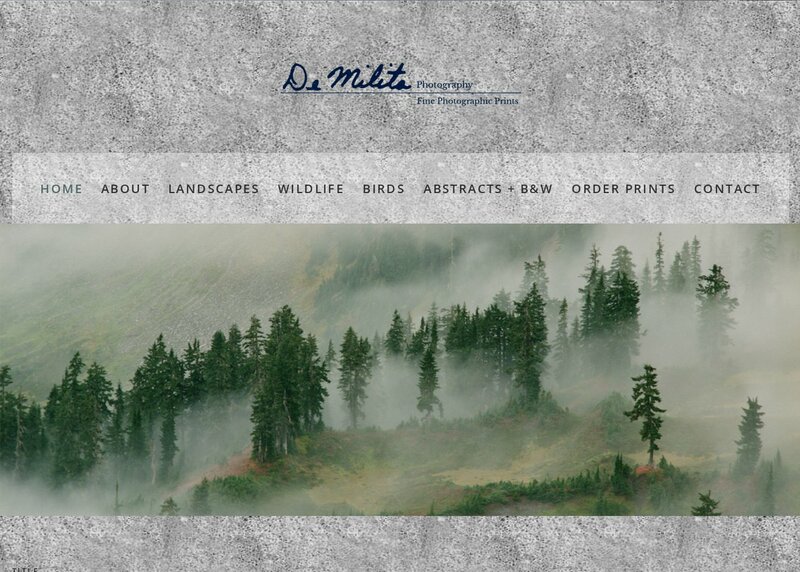 Jim DeMilita is a spectacular nature and wildlife photographer. Each image is a treat for the eyes. He has been travelling the world taking photography of remote places for years and has sold his hand crafted prints in various markets. 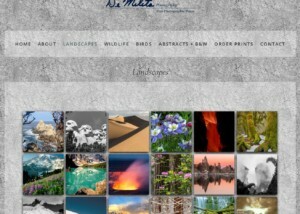 He has finally decided to make some of his images available in a brand new website! Since this is Jim’s first foray into online presentation of his work, he really wanted to go simple. He is not offering any of his prints for sale through his website, but can make arrangements if you contact him directly. Therefore, the main focus of the website is the galleries. They are built using the “Gallery by Supsystic” premium plugin. The simplicity of this plugin allows him to be able to add new images as he processes them. I hope you enjoy DeMilitaPhotography.com as much as I do. In a sad time in history for general scientific understanding, it has been encouraging to see north Americans embrace astronomy and flock to a narrow band across the girth of the country to witness the total solar eclipse of 2017. 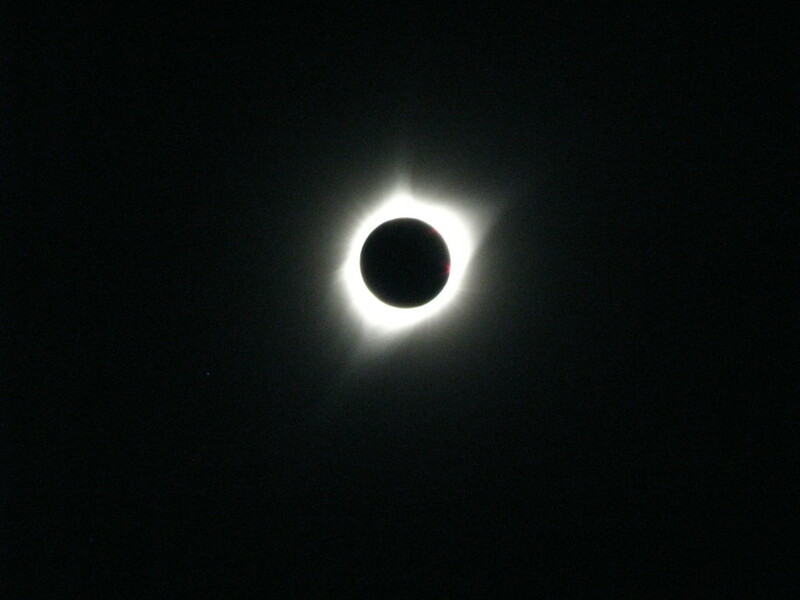 If you were one of the lucky ones to be near the center line of the totality, you had the chance for about 2 minutes, to see the world it a completely different light. 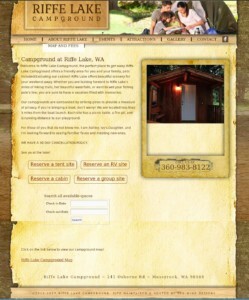 Recently, the owner of Riffe Lake Campground, in Mossy Rock, WA approached Sea-Wing Designs to create a booking system for their website. They planned to use Authroize.net SIM as their payment gateway and needed a way for their customers to book tent, RV and cabin reservations and smoothly make payments online. After a lot of searching and testing, we decided to use a combination of the well established WooCommerce shopping cart plugin with the Booking & Appointment plugin by tychesoftwares.com. The process of building an e-commerce website involves many steps. After the initial brainstorming session where the requirements of the new online store are outlined and a structure for the website is decided upon, the next step is allowing the graphic designer or design team to create the look for the new website. 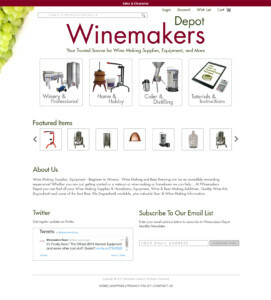 In the case of WineMakersDepot.com, the site was already using a shopping cart system, but was in dire need of an updated look and better organization to their product listings. They came to Sea-Wing Designs to work with their developer and create a series of graphic designed photo-shop files that were then used as blueprints for the new website. Starting a new business venture can be a huge amount of work and dedication. One of the biggest pieces of the puzzle is how you will get the word out, how you will market. Having an effective website plays a pivotal role in that marketing. When Ann Howie decided that she wanted to change the direction of her career and start Dogs In Action, she knew that having a website that she could depend on was one of the first things she needed to plan for. She needed a website that would have the professional feel to bring in new clients and fit within her budget. 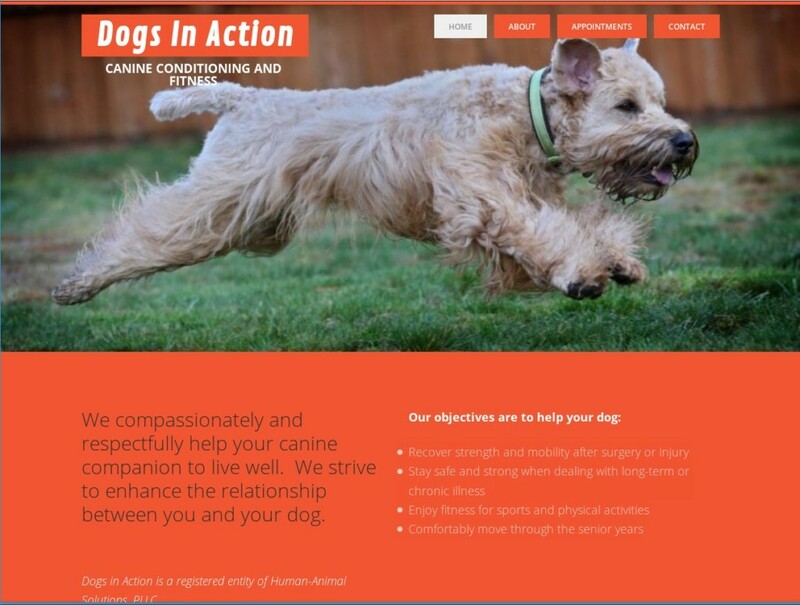 DogsInActionOlympia.com is a straight forward, fully responsive WordPress site built on the Genesis framework. Sea-Wing Designs provides hosting, regular upkeep and training so she can add to it when needed. Please take a look at the website and let me know what you think in the comments. 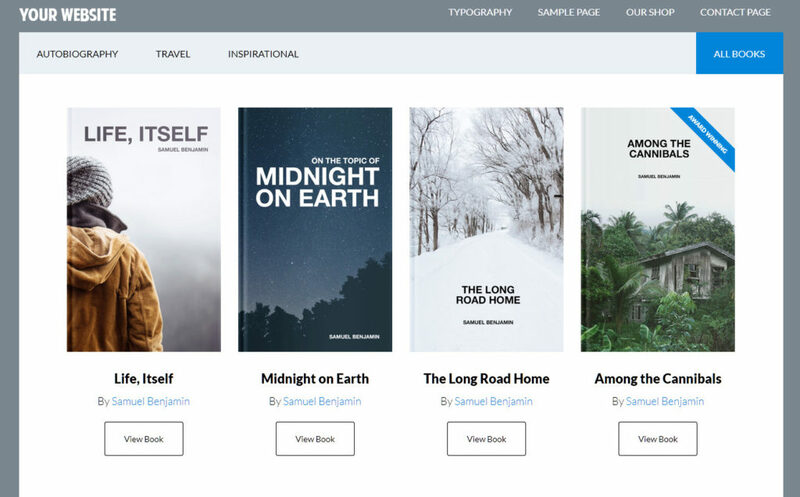 When Sally Bergquist of Olympia, Washington originally came to me a couple years ago to design a website for the writing curriculum that she was developing, she was still in the early phases of her process. 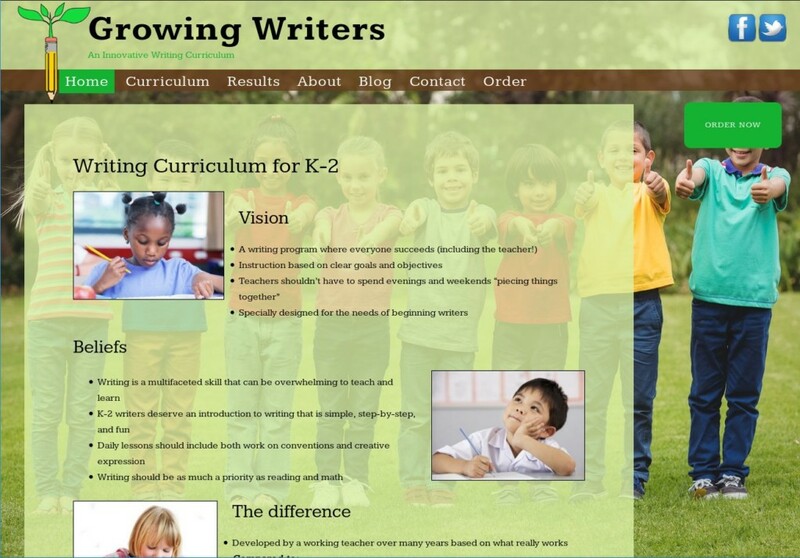 Now that the curriculum is complete and ready for educators to use, she decided that the focus of the website needed to change along with the look. We worked together to come up with a design that is friendly and modern and focuses on selling the excellent teaching tool. The website is now fully functional and features a shopping cart, a blog, a slideshow of student progress and a contact form. To me, K-2 are the most important years in writing, just as they are in reading. But whereas reading instruction has been exhaustively researched, early writing instruction hasn’t been studied as much for effectiveness. The common belief seems to be that “real” writing starts later and that students are just sort of playing with writing in these younger years. I hope to change this by showing what good solid instruction looks like in K-2 and what a difference it can make for students! Please visit the website and let me know what you think in the comments. Website Design Services guide on DigitalSpinner.com.